Classes - NEW Dates and STORE Updates! 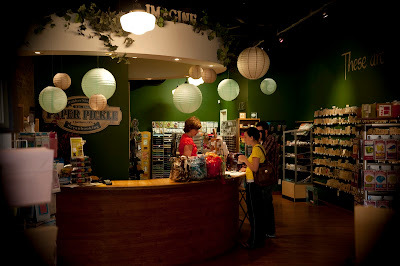 Me in Action...I hate to brag but man our store is SO cute and full of goodness right now! There are still a few spots left in Michelle's gorgeous canvas class for this WEDNESDAY! For those of you that would like to learn how to make dimensional flowers, this is the class for you! This would also make the perfect gift for that hard-to-buy-for person on your Christmas list. NEW PRODUCT ALERT....what else is new! Honestly, I have been on an ordering rampage over the last few months. While the boss is away, the mice will play (as they say!). Kell has commented on how great the store looks though so I guess I am doing a good job....ha! So what's new you say? We've got two 12x12 Christmas paper lines by Echo Park (what a cute new company). 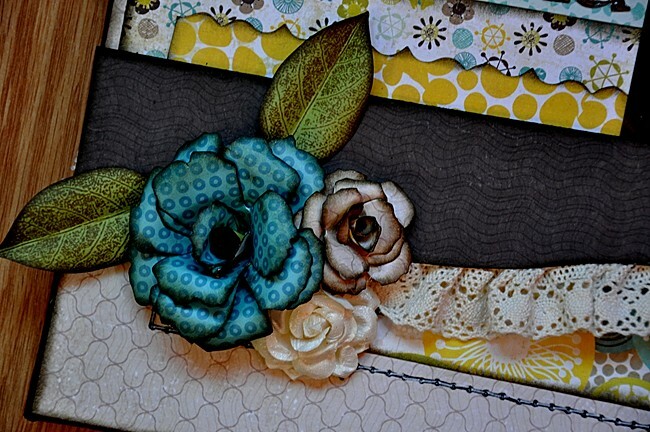 Tim Holtz products including tissue tape, tickets, film strips and ALL of his new Distress Stickles! Ummm.....I know there is more but my brain is not what it use to be....darn kids! What the heck.....let's have a little sale! All THICKERS and Kaiser Crafts brads are 25% OFF! Sale ends Saturday, October 23rd!! Mark your calendars for our most favourite day of the year....our Christmas Open House!! This year we would love for you to join us on Sunday, November 14th from noon 'til 4PM. We will have Kell's home baked goodies, make and takes, demos, and maybe even a little promo event! 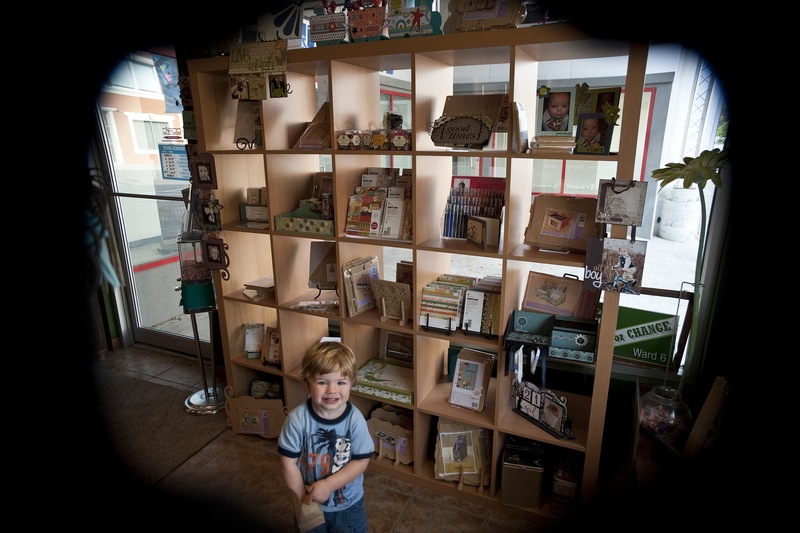 The store is just overflowing with creativity and love so you just HAVE to come! It wouldn't be the same without you! PS...REMEMBER to call me about classes! Before I get into the classes, I just wanted to let all you Pink Paislee fans that the latest lines have arrived! We have a very nice line up of classes this month. I know I am posting at an odd time of the day (so sorry for the delay!) but please feel free to call the store and leave a message if you are interested in a class 519.351.5220. I will fill the class in order of receiving the messages. Please leave your phone number and I will call you back to confirm and to arrange payment. Please note, I am posting single dates for each class but we WILL open additional dates as these classes fill. You can now register to attend the class or purchase the kit! Please specify which you are interested in when calling! Ok. Are these amazing or what? On the first card, Pauline will show you how to make a shaped card using Spellbinders dies. 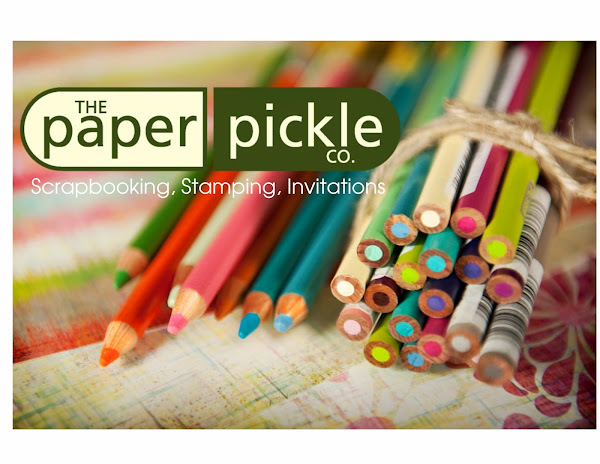 You will work with Stampingbella's adorable polar bear stamp and colour with pencils. 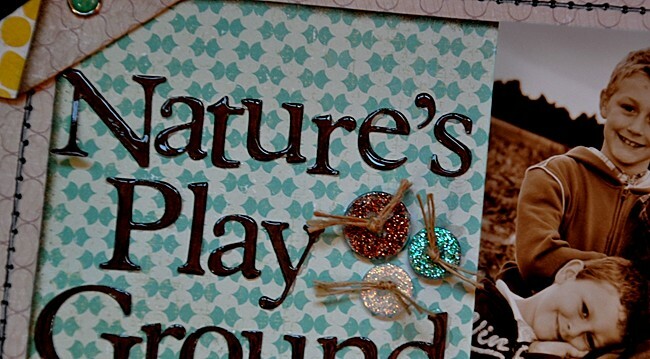 You will use products like glitter, liquid pearls, ribbon, and more. The second card would be such an amazing design especially for those of you who make LOTS of Christmas cards. It is so easy yet so elegant & impressive. Again, you will be working with spellbinders dies, glitter, edge punches and more. Yes, you heard right...we've got a canvas class! And this one would make a gorgeous gift for someone on your Christmas list. 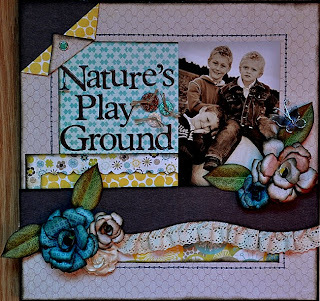 The reason this layout is perfect for a canvas is the amount of dimension Michelle has included (even more than usual!). You will learn to make dimensional flowers using various dies. You will also distress, work with beautiful crocheted ribbon, and more! The colours Debbie chose for her cards this round are spectacular! I fell in love the moment I saw them! Both cards work with Penny Black stamps and Basic Grey papers. You will work with glitter, ribbon, buttons, punches, edge punches, embossing folders, stipple brushes and more. 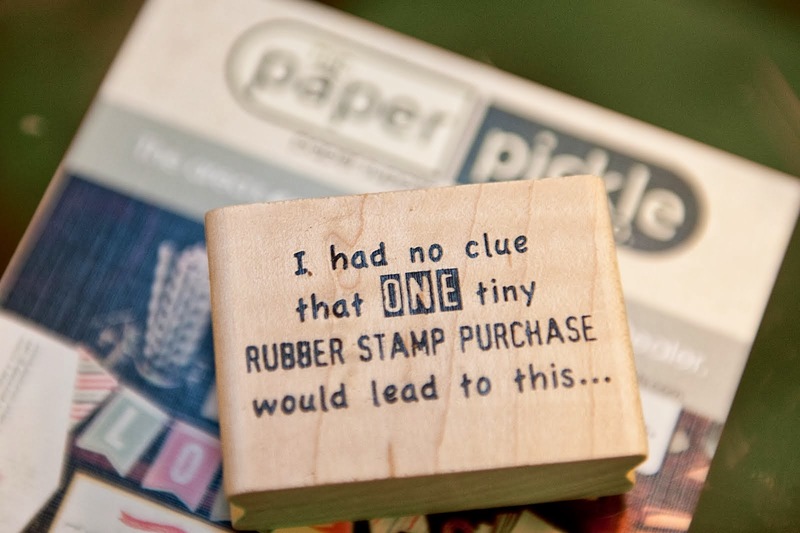 You will also learn to emboss using a heat gun! The fa-la-la-la card card also features a dimensional embellisment that is so cool! She's back!! I am thrilled to tell you that Linda will be teaching this month. Look for a class from Linda once every 8 weeks or so. So don't miss your chance to pick up some tips from a girl that was born to colour! This is a technique class and you are responsible for bringing your own copics and Prismacolor pencils. 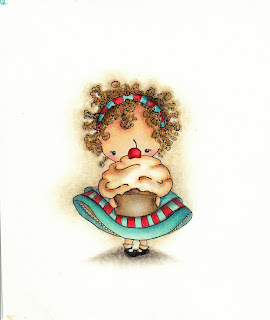 Linda has two fabulous Stampingbella images for this class including Izzy has a cupcake and Lulu's wedding cake. I have stolen an image from Linda's blog (I hope that's ok) to show what amazing results you can achieve when working with both pencils and copics. Please do not think I have forgotten about this very important class. I am not quite ready though (shame on me!). Please look for a post next week with details!!!! So this is Kaiser Craft's Train Tidy. I used Crate's School Spirit line to create this cheery little Choo-choo train! Now you have to understand how obsessed my 2-year old is with trains at this moment and he was my main reason for choosing this project. My plan was to have this done for his birthday (back in August) but I'm so glad that it didn't fit into my schedule until now because the paper wasn't out then! See, maybe a little procrastination is good! ﻿Have I told you how much I LOVE this paper? I was telling someone the other day that my two favourite lines right now have to be Crate's School Spirit and Restoration. The texture and weight of this paper is just gorgeous. You would think I was working for Crate with the amount of times I have raved about their paper lately! So you can see that the cargo on this load are my kids colour tools. Actually the kids do not use my copics but I didn't have any of their markers left with lids on them so I had to grab some markers that would look good in the shoot! The size of the containers are just perfect too. The engine has a smaller 'box' and is ideal for crayons. The two remaining cars have ample rooms for loads and loads of markers and pencil crayons. 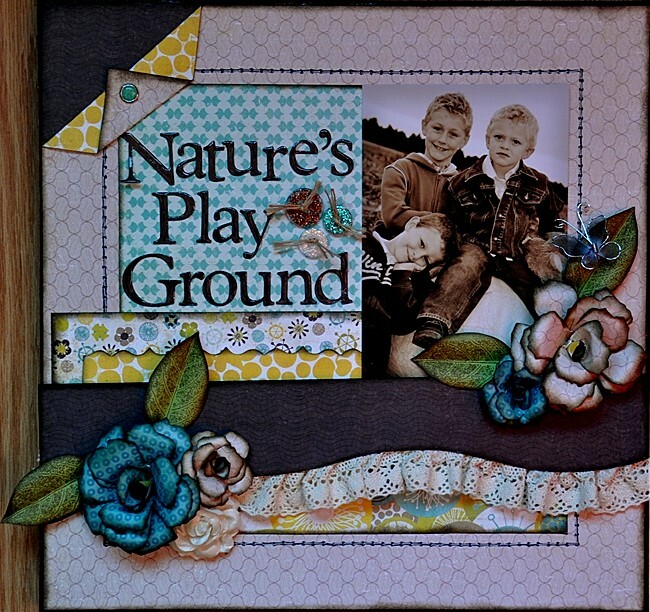 ﻿﻿﻿﻿﻿﻿ ﻿﻿﻿﻿A raw project....usually from KaiserCraft (the product is so strong but also very easy to manipulate with tools like sandpaper, crop-a-dile, scissors, etc.) and the products are also quite inexpensive which is always a plus! Only $15.99 for this dimensional train! You will notice that I often grab for Glossy Accents and Crackle Accents to add some dimension to my projects. You will see the Glossy Accents used on the tires and the Crackle Accents used on the star. ﻿elements together if you want. I thought it was best if each piece remained separate just in case Jules wanted the pencils and Coulter wanted the crayons. But, I wanted to give the appearance that the cars were attached to the engine. This is the reason I used the twine on the front and left them a little longer rather than cutting them the exact length of the car. I then stapled the two pieces together and then used Scor-Tape to tack it down. So what do you think? You will have to stop in and see it for yourself! I will be posting more gift-type projects over the next few weeks so stay tuned! PS.....The class schedule will be out Thursday!!!! And the winner is.......Angelwhispers! Please call me at the store to arrange a pick up time. Coulter was the 'official' name picker so you can thank him for your victory!!! Here he is pulling the name from the paper bag! Look at that boy....he is so thrilled every time he is in the store! We have extended our hours back to Tuesday-Friday 10am-5:30pm and Saturday 10am-3pm. I have to talk to my girls but I would like to have extended hours one night per week and have the store open until 6 or 6:30 in November and December. I will keep you posted! I will do my best to make the other suggestions happen! Have a great weekend and look for more great giveaways in the future! !